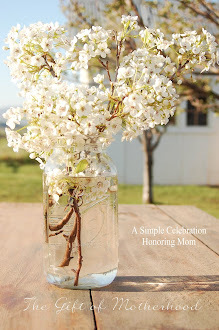 My crafting time is limited, so I love easy projects like this one. Next, use your permanent marker to write a lovely word or phrase. 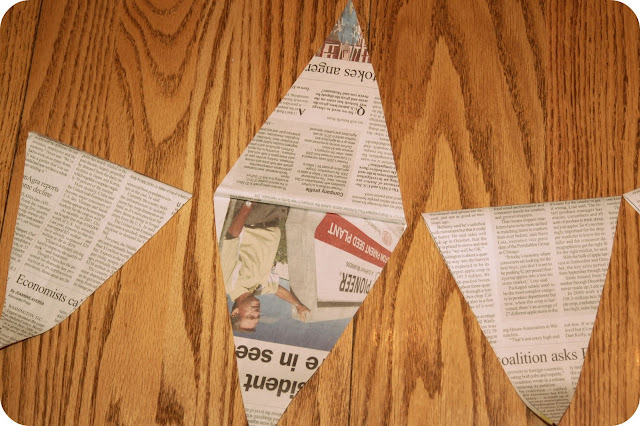 You will need to put a few sheets of newspaper in between the pennants when you are writing. The marker will bleed through to the other side....so be careful! Now, just run your ribbon or string through, folding each pennant down. Glue the two sides together, leaving space at the top for it to slide. This way, you can space them to a desired width along the ribbon. Place somewhere for everyone to enjoy! Cool and simple -- the best kind of crafts. And I love that it's recycled too. Thanks for sharing ... I've posted a link. Simply Lovely. I love that it says Fall! It's finally starting to cool down a bit around these parts and actually FEEL like fall! We drove past your neck of the woods last weekend and I thought of you. The leaves on the trees in that area are so beautiful with their changing colors. Oh Ju! It's so cute! We may have to make one for an art project this week!